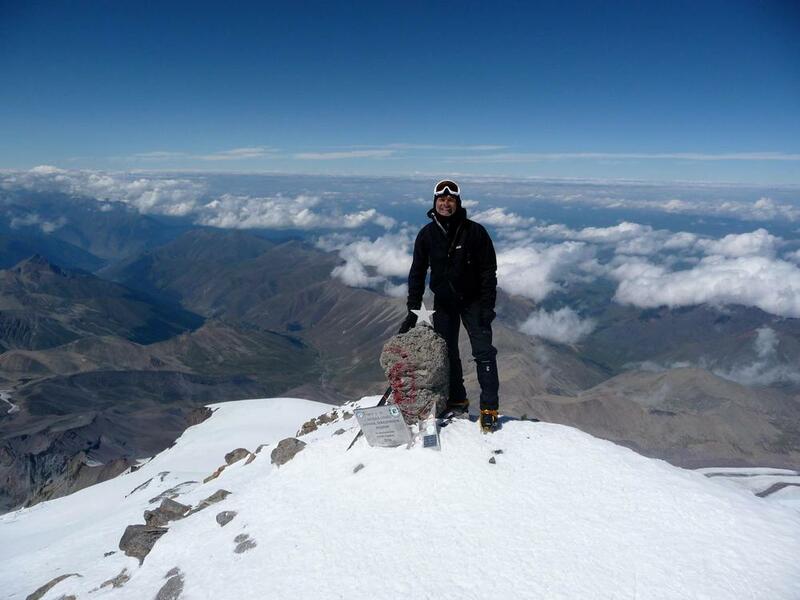 after kilimanjaro i fell in love with mountains, and unfortunately chloe was doing her exams at school, so i went solo to russia to climb mount elbrus. the mountain was 'sort of' closed due to terrorism, but i found an operator that took us to the north side of the mountain, and we sumitted with bright blue skies. i loved this mountain, even though we lost communication, and i had 8 days with my family not knowing where i was, and i vowed to buy a satphone, as i never wanted to upset them like this again!